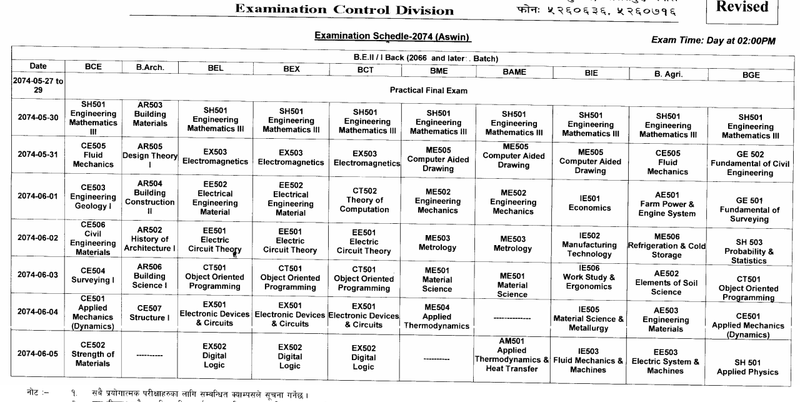 IOE Back Exam Routine(REVISED) for All Year First Part of BE and B.Arch to be held on Asoj and Kartik 2074 has been published. 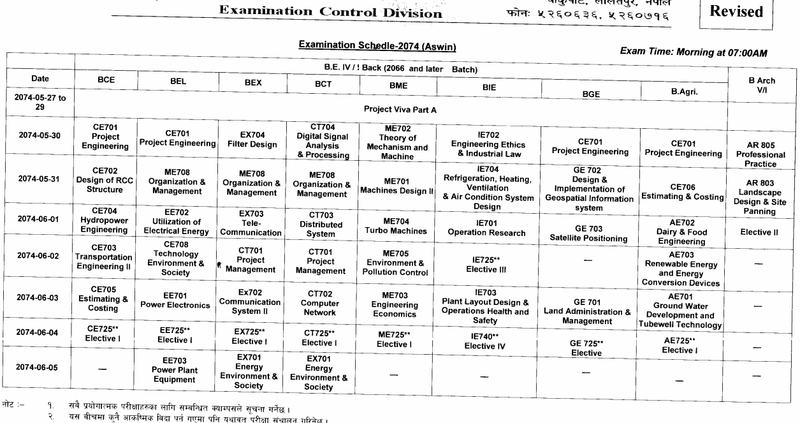 The exam will be held on morning shift from 7 am onwards for IV/I and on day shift for II/I of Bachelor in Engineering (BE) Computer, Civil, Electronics & Communication, Agriculture and other faculties including B. Arch. 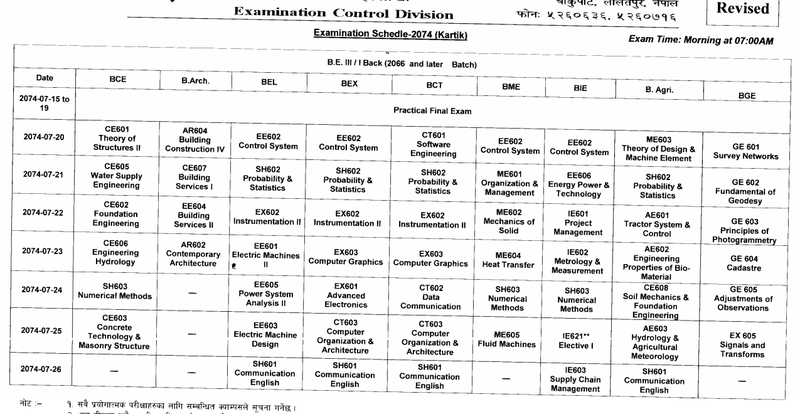 if back exams get clashed ,then is there any provision of postponing the date of any one the subject ? 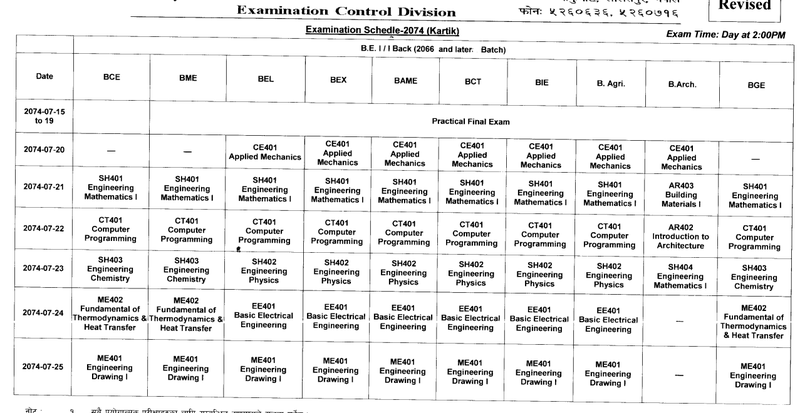 suppose my Basic electrical exam Geology are at 7 am and at 2 pm respectively in the same date .